Who’s ready for a little midweek/midday peanut butter pick-me-up? 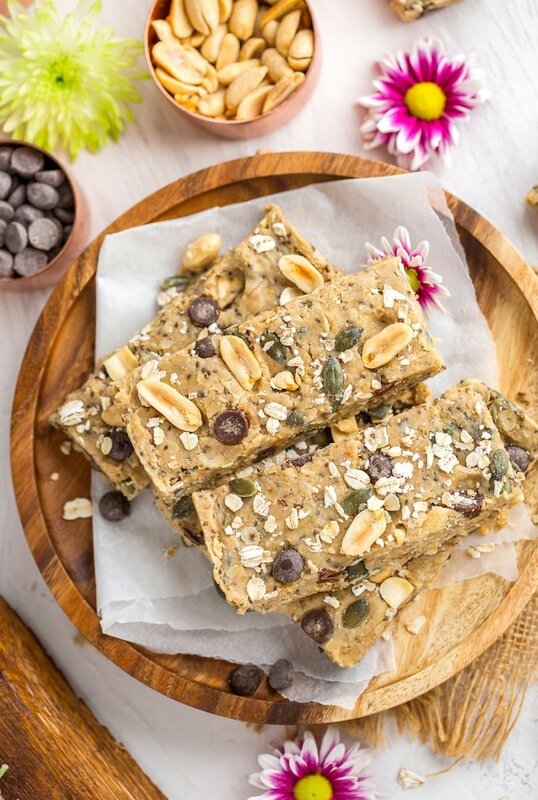 As of now you’re only about 15 minutes and 7 ingredients away from these seedy, nutty Peanut Butter No Bake Granola Bars! Beyond these three here, you’ve got a lot of room to play around with this recipe mixing and matching different nuts, seeds and whatever other add ins you’d like. I’ve chosen to use a combination of chia seeds, pumpkin seeds, salted peanuts and dark chocolate chips but these can easily be swapped out depending on what you have in and what you like. Toast your oats. Toasted oats have a sweeter, nuttier, richer flavour and take next to no time to prep. Warm your peanut butter first. Pop it in the microwave for about 30 seconds to soften it up. This will make mixing everything together so much better. 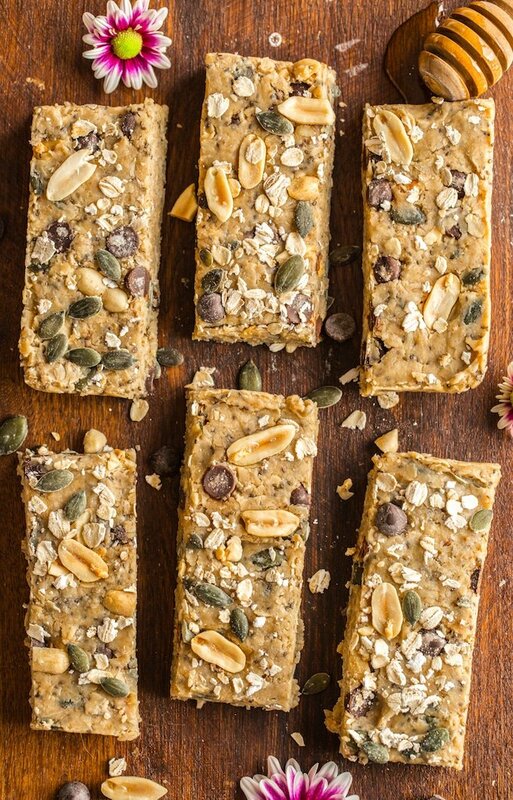 These bars are soft and chewy – for a firmer bar add an additional 1/4-1/2 cup oats. Overall these bars are super easy to make and in very little time to boot. They’re based off of my peanut butter and chocolate oats bars that have been getting a lot lot of love on social media lately. I’ve had a few people leaving comments on instagram and on the recipe sharing that adaptations that they’ve made turning them into more granola bar like snacks. I thought it was such a good idea that I wanted to make my own version to share! I hope you like my version here. If you try them out please let me know by leaving a comment below or showing me in insta! 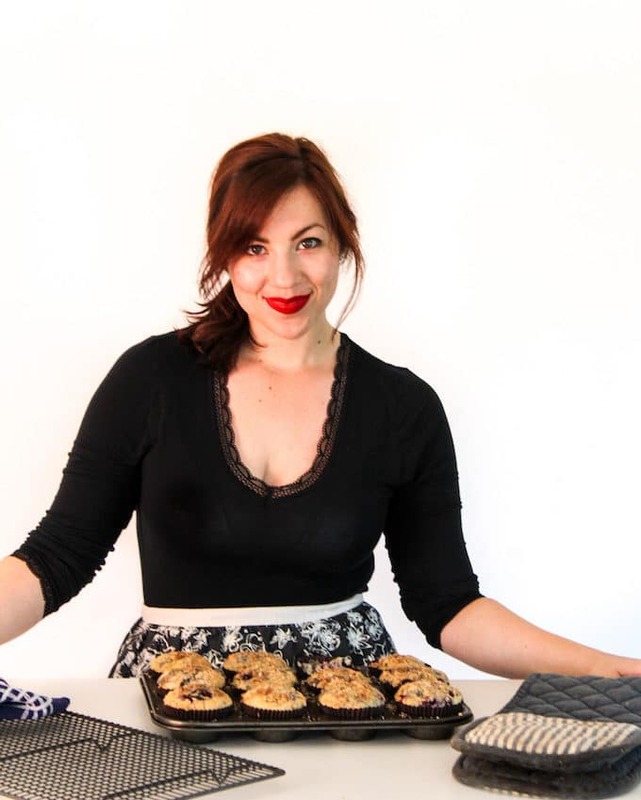 And if you made any changes to the recipe please let me know that too – I love seeing what you guys make! Don’t forget to #asaucykitchen on instagram if you try these Peanut Butter No Bake Granola Bars! We love seeing what you make! You can also post your pictures to my facebook page! Warm a large non stick skillet over a low heat. Add the oats to the skillet and toast them while stirring for about a minute. Remove the pan from the heat. Add the peanut butter to a medium sized, microwave safe mixing bowl. Warm in the microwave for 30 seconds to warm the peanut butter. Stir in the honey until combined. Once mixed, add in the remaining ingredients. Line an 8x8 inch baking tin with parchment paper or plastic wrap - leave the sides a little long to make removing the bars easier later. Press the peanut butter mixture into the tin, spreading evenly. The mixture may be pretty sticky at this point. If you struggle to press the mixture into the pan without it sticking to you - use a piece of parchment paper as a buffer to help you press. Cover and refrigerate an hour to let the bars firm up. When you're ready to slice lift the bars out of the pan by pulling the extra parchment hanging over the sides. Use a long knife to cut the granola into 12 bars and enjoy. These will keep for 3-4 days stored at room temperature or a week in the fridge. You can also wrap these up individually and store them in the freezer for several months. This recipe sounds amazing! To increase the protein could I replace some of the oats with my protein powder? Thanks! You can certainly try it! I haven’t tried this with protein powder yet but I do think that will be no problem. I’d start out with 2 or 2 1/4 cups oats and then adding protein powder 1-2 tablespoons at a time until you reach the amount you want so you have more control over how well it mixes in. Hope you like it! These look great! I want to try them. Thanks Anne! Hope you like them! 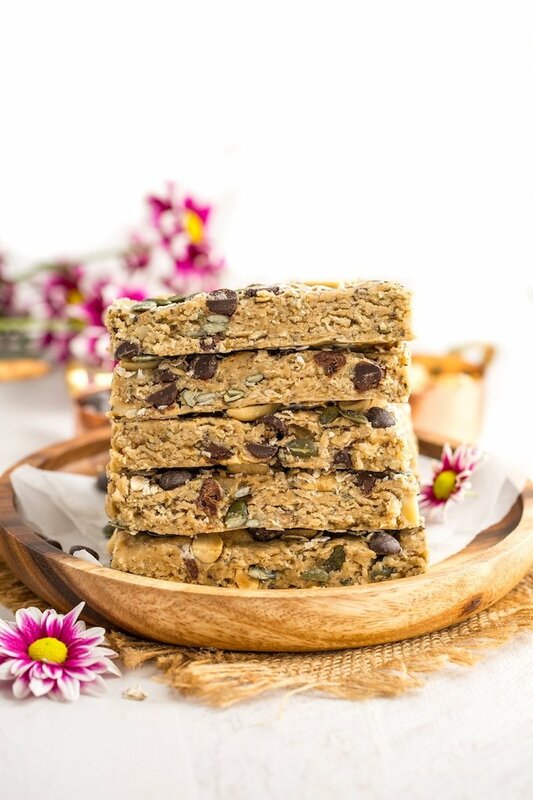 These granola bars look absolutely delicious! Love your photographs!